Whole crops and vegetation can be severely damaged or worse still – totally destroyed – by traces of herbicides and residual chemical. 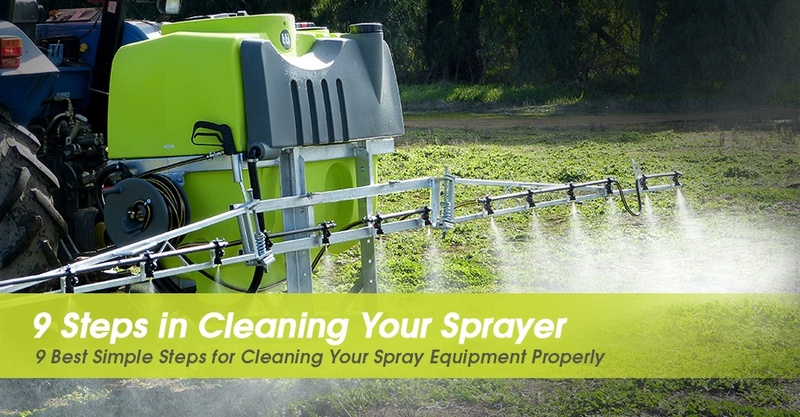 Here are a few simple steps for you to follow to ensure your spray equipment is thoroughly cleaned to prevent any wrong chemical being sprayed. So, what tank-cleaning agent should I be using? These are ideal for removing water and oil soluble herbicides. Recommended for penetrating and loosening residue in your spray equipment. Ammonia doesn’t actually decompose herbicides, instead, it increases the solubility of some herbicides by raising the pH. Can be used to decompose residues of most sulfonylurea and other herbicides into inactive compounds. WARNING! If chlorine bleach is mixed with a fertilizer that contains ammonia, it will produce a dangerous chlorine gas. This will irritate your eyes, nose, throat, and lungs. This should be used to remove oil-based herbicide. After you have rinsed your tank with the oil, clean it further using detergent or ammonia. Australia’s Best Spray Equipment – Australian Made!